Commuter benefits solutions for your organization. Our award-winning Employer Services team provides complimentary consultations to businesses starting or enhancing their commuter benefits programs. From transit benefits to secure bike parking and telework, we make it easy for your employees to choose sustainable, affordable and healthy ways to get to work. As a free service, we work with you to customize, create and easily administer employee transportation benefits. Our client-serving team is here to benefit both your bottom line and your employees. Commute surveys, custom commute resources and information workshops to help ease the transition to a new office. Use the relocation guide to get started. The Employer Ambassadors Program seeks to recognize DC organizations for their commitment to sustainable transportation. Offering commuter benefits and creative program incentives supports the health and wellness of your employees and helps to make your organization stand out among other employers. Join today! What Types of Commuter Benefits Can I Offer? Commuter benefits are transportation fringe benefits regulated under Section 132(f) of the IRS Tax Code, allowing employees to reduce their monthly commuting expenses for transit, vanpool, and parking. Employers can offer employees a range of pre-tax or subsidized transit benefits, as well as a host of related perks such as secure bike parking and assistance finding a carpool. Pre-tax: Employees can deduct up to $265 per month from their paycheck before taxes and use it towards Metrorail, bus, commuter rail and vanpool fares. Subsidized: Employers may offer financial support in the form of a fringe benefit (employee is not taxed) specifically to fund an employee’s daily commute. 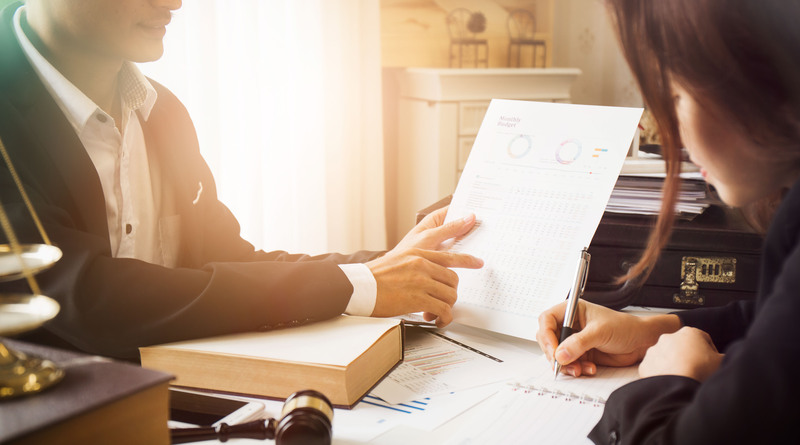 For information on the treatment of certain fringe benefits, including qualified fringe benefits, review the IRS 2019 Publication 15-B, the Employer’s Tax Guide to Fringe Benefits. 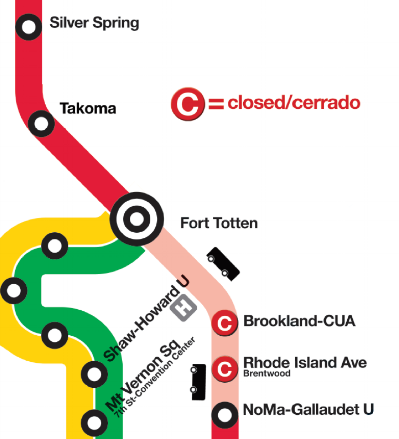 How to Provide Transit benefits can be administered in-house at no cost through WMATA’s SmartBenefits® program. On a monthly basis, pre-tax or subsidized funds are auto-loaded onto an employee’s SmarTrip® card for use on most regional transportation. If your employee(s) do not currently have a WMATA SmarTrip® card, they can conveniently purchase one online. 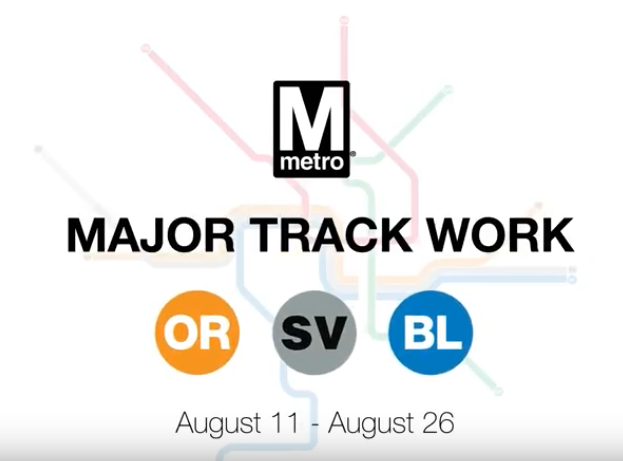 Set up your organization’s SmartBenefits® account online at wmata.com/smartbenefits. Collect and enter employees’ SmarTrip® serial numbers and requested contribution amounts online by the 15th of the month. Funds appear on employees’ cards on the 1st of the following month. Watch the FICA and payroll tax savings roll in with praise from your satisfied employees! The benefit can be managed internally by reimbursing employees for bicycle-related expenses or by providing a monthly voucher, redeemable at local bike shops. The Bicycle Commuter Benefit is only available as an employer-paid benefit. Employees can receive both the transit benefit and bicycle benefit in the same month. Access to a transit benefit and a bike benefit will have the most impact on an employee’s decision to travel to work sustainably. Effective January 1, 2018, individuals who participate in an Employer-Provided Bicycle Benefit must report the benefit as taxable income. Eager to go the extra mile? Employers may also offer shuttles, carsharing services and extra monetary incentives like walking benefits. Capital Bikeshare Corporate Memberships The Capital Bikeshare Corporate Membership Program is a great perk for companies to offer to employees. Learn more about the four membership levels available and enroll your organization today. This law requires organizations and businesses with 20 or more employees who work in the District to offer commuter transit benefits—pre-tax or subsidized—for use on Metrorail, local and express buses, commuter trains and vanpools. Employer-provided transportation also complies with the Law. Passed by the DC Council as part of the Sustainable DC Omnibus Amendment Act of 2014, the Law aims to improve air quality and reduce carbon emissions by reducing DC’s drive-alone rate. Similar to laws in San Francisco, New York and other metropolitan cities, this measure helps to reduce rush hour demands on our region’s roadways and expand access to public transit. 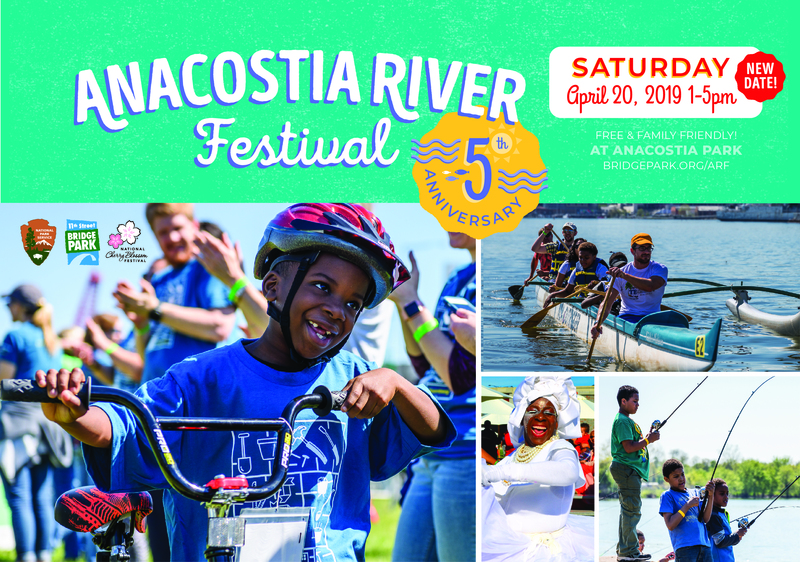 Passed as part of the Sustainable DC Omnibus Amendment Act of 2014, this Law aims to make the District the healthiest, greenest and most livable city in the nation. 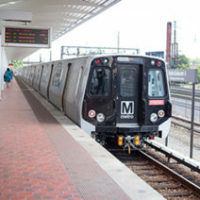 Employers with 20 or more employees working in the District are required to offer pre-tax or subsidized commuter benefits for use on public transportation. Encouraging your employees to bike is a great way to promote a healthy workforce and an environmentally-friendly travel mode. Develop a bike culture by hosting monthly bike commuter breakfasts, participating in the region’s Bike to Work Day celebrations and starting a Bike Buddy program to help novice cyclists learn from the veterans. From bike rack installation to employee bike benefits, contact goDCgo for complimentary support as you improve your organization’s bike appeal! Employers may provide a bicycle benefit to cover bicycle-related expenses. Employees who participate in any employer-provided bicycle benefits program will have to report the benefit as taxable income. Companies can make it easy for staff to bike to work, around town for meetings or just for fun. Each one-year employee membership includes unlimited 30-minute rides and is a low-cost benefit to add to your wellness initiatives and commute program. Prominently display helpful, informational materials to show your commitment to bike commuting. Request free DC Bike Maps, Capital Bikeshare brochures and bike safety guides for your front desk and new employee orientation packets. Having a convenient place to shower and change clothes removes one barrier to biking. Work with your building management to add facilities or allow free access to gym locker rooms for bike commuters. Secure bike parking for employees inside your building gives a rider peace of mind when they bike to work. Under DC’s Bike Parking Regulations, bike parking is required in all buildings with car parking. Submit a request to your building management team. Placing bike racks in front of your business attracts customers and reduces the demand for parking. Standard bike racks are provided by DDOT at no cost, while custom art racks can be purchased for $500-$1,500. Request a free bike rack assessment from DDOT. 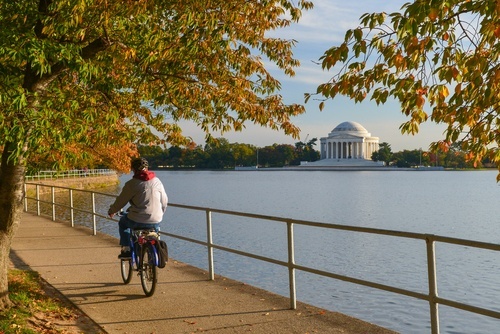 The Washington Area Bicyclist Association (WABA) provides Everyday Biking Seminars* and Confident City Cycling classes. WABA can also customize a ride or class to support your organization’s unique location and culture. 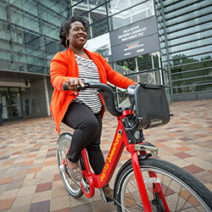 *Everyday Biking Seminars are free for Capital Bikeshare Corporate Members. Installing a transit display in your reception area or lobby provides employees with real-time information about Capital Bikeshare bike and dock availability around your office. Contact TransitScreen® or Redmon Group to get started. 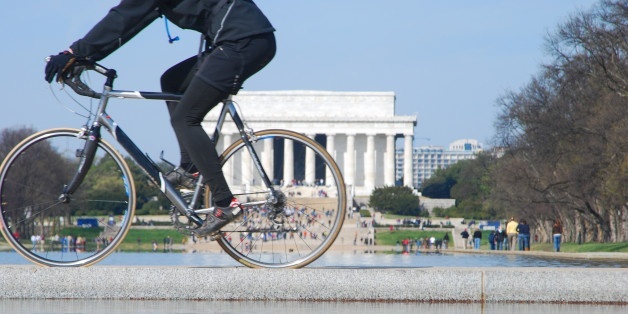 goDCgo’s Bike-Friendly Workplace Award recognizes DC’s top bike-friendly program each year. If you promote a healthy workforce by encouraging employees to bike to work, learn more about the exclusive award program. The League of American Bicyclists’ elite Bicycle-Friendly Business designation acknowledges organizations that promote biking as a healthy, sustainable and fun form of transportation. goDCgo can help you earn points towards the Bronze, Silver, Gold or Platinum designation through fun activities, better bike parking, customized messaging and more. The Guaranteed Ride Home (GRH) program provides commuters who regularly (twice a week) bike to work with a FREE reliable ride home, up to four times per year, for emergencies or unscheduled overtime. Maintain productivity, increase morale and continue the flow of business by encouraging participation in GRH. goDCgo can help you promote the program by providing customized marketing materials and hosting on-site events to answer questions regarding the service. Contact us for more information. From commuter benefits to real-time transit displays, transit-friendly employer programs help maintain a competitive edge in today’s market while giving employees the work-life balance they need. Contact goDCgo for complimentary support creating a transit-friendly program that meets the unique needs of your organization. Commuters can deduct up to $265 per month from their paycheck before taxes and use it towards Metrorail, bus, commuter rail and vanpool fares. Many employers choose to subsidize commuters’ transit fares or mix-and-match subsidies and pre-tax deductions. For more information, see Commuter Benefits. Displays provide real-time arrival and departure information specific to your office’s location. Make it easy for employees to catch the next bus or train by installing a real-time transit display in your reception area or lobby. Contact TransitScreen® or Redmon Group to get started. Make the most of your transit-friendly location by prominently displaying transportation maps for employees and visitors. Request free Metrorail, bus, MARC and VRE brochures for your front desk and new employee orientation packets. Employees can conveniently buy a SmarTrip® card online with any major credit or debit card. SmarTrip® cards can also be purchased at any Metrorail station or at Metro sales offices, retail outlets and commuter stores. The Guaranteed Ride Home (GRH) program provides commuters who regularly (twice a week) take transit to work with a FREE reliable ride home, up to four times per year, for emergencies or unscheduled overtime. Maintain productivity, increase morale and continue the flow of business by encouraging participation in GRH. goDCgo can help you promote the program by providing customized marketing materials and hosting on-site events to answer questions regarding the service. Contact us for more information. Commuters who share the ride arrive to work less stressed and exhibit higher productivity. 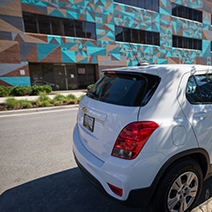 If you own or lease parking facilities for employees, each employee who carpools or vanpools could also save your company up to 9% on employee payroll taxes. Contact goDCgo for educational materials and assistance setting up a rideshare program and incentives at your office. The most common form of ridesharing, carpooling is an arrangement by a group of commuters to drive together in one commuter’s personal car to their worksite(s). Carpools usually consist of individuals who live and work near each other and have the same schedule. Vanpool commuters pay a monthly fare and drive together in a leased van to their worksite(s). Vanpools often originate at a park-and-ride lot and allow commuters to get the cost savings and convenience of public transit in areas with limited transit options. Vanpools are often the fastest and most cost-effective mode of travel for commuters traveling more than 15-20 miles to work. The IRS allows vanpool commuters in minivans and full-size vans (seven to 15 passengers) to use commuter transit benefits toward vanpool fares. Employers may offer a pre-tax deduction or subsidy of up to $260 per month. Most regional vanpool providers accept SmartBenefits® as payment. For more information on setting up a vanpool program, see Commuter Benefits. Employers may offer an additional, taxable incentive to employees who carpool and do not qualify for existing transit or vanpool benefits programs. Carpool and vanpool commuters can earn cash incentives through the Commuter Connections ‘Pool Rewards program for each day they share the ride. New carpools and vanpools can earn up to $150 per month for choosing to share a ride to work. Conduct a survey or use employee zip codes to identify commuters who live near each other and would be willing to share the ride to work. Commuter Connections’ Ridematching service can also help find matches outside of your office. Encourage employees to share the ride by reserving prime parking spaces or offering discounted parking to those who carpool or vanpool. Show off your commitment to ridesharing by prominently displaying helpful informational materials in your reception area and in employee orientation packets. Request free Commuter Connections and vanpool provider brochures. goDCgo Ambassador Awards goDCgo’s Carpool/Vanpool Award recognizes a unique DC employer helping to reduce rush hour congestion by offering ridesharing assistance and incentives to employees. Learn more about the exclusive award program. Walking programs are a great way to energize and motivate your employees while cutting down on insurance and health care costs. Help your employees choose the healthiest, most sustainable mode of transportation there is—their own two feet! After all, the District has been designated a Gold-level Walk-Friendly Community. From supplemental commuter benefits to walking meetings and company-wide walk challenges, there’s a lot your organization can do to encourage walking to or during work. Contact goDCgo for complimentary resources, information and services to build a custom walking program at your workplace. Prominently display helpful, informational materials to encourage walking to or during work. Request free walking brochures and pedestrian safety guides for your front desk and new employee orientation packets. Having a convenient place to shower and change clothes encourages employees to walk or run to the office. Work with your building management to add facilities or allow free access to gym locker rooms. Health and transportation fairs are the perfect opportunity to distribute information about walking initiatives, groups and meetups. Request goDCgo attendance for help answering questions at your event. 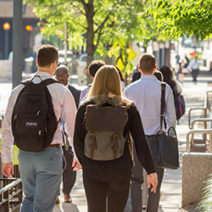 These national workplace walking programs offer ready-made resources to help establish your business as a walk-friendly workplace. Established by BlueCross BlueShield, WalkingWorks provides guidelines, resources and tips to help motivate employees to integrate walking into their everyday routine. Start! The American Heart Association’s workplace walking program helps companies encourage employees to walk by setting up walking routes and routines. Every Body Walk focuses on working walking into all aspects of daily life. This site provides resources to promote walking at your workplace, including a walking pledge, helpful maps and health information. Held annually on the first Friday in April, National Walk to Work Day encourages participants to walk for all or part of their commute. Organized by BlueCross BlueShield and held on the last Wednesday in April, National Walk at Lunch Day aims to establish new workplace walking routines, helping employees improve their health step-by-step. Telework and alternative work schedules (AWS) are increasingly popular ways to ease the challenges of commuting. These innovative business strategies allow work to be performed outside the office and outside of the traditional nine-to-five schedule, allowing for both increased productivity and better work-life balance. Get started with our telework application template and contact goDCgo for complimentary support establishing and administering alternative work schedules at your office. Telework, often referred to as working remotely, is a work arrangement that allows an employee to perform work at an approved alternate worksite. An increasingly popular option for DC-area employees, telework helps reduce commute stress, improve productivity and cut overhead costs. Alternative work scheduling allows employees to shift work schedules to avoid rush hour, accommodate personal appointments or complete their work in fewer days. Flextime, compressed work weeks and staggered work hours are all types of alternative work schedules, each representing a different kind of adjustment to the traditional nine-to-five, eight-hours-a-day schedule. Departmental: Departments are assigned different starting time. Individual: Employees are assigned staggered starting times, which may vary within departments or work units. Four/Forty (4/40) Schedule: Employees work four ten-hour days and take the fifth day off. Nine/Eighty (9/80) Schedule: Employees work 80 hours in nine business days and take the tenth day off. Flexible scheduling allows employees to arrive or leave work at different times, giving more flexibility for appointments and responsibilities outside of the workplace. goDCgo Ambassador Awards goDCgo’s Telework/Flex/Alternative Schedule Award recognizes a company that helps employees have a better work-life balance by alleviating commute time with a brilliant policy. Learn more about the exclusive award program. Employers who provide free or subsidized parking may offer employees a taxable cash payment in lieu of a parking space. This flexible commuter benefit, often referred to as a parking cash-out, encourages employees to use alternative commute modes and helps reduce a company’s parking costs. Offering daily parking rates, as opposed to weekly or monthly passes, also allows employees flexibility to adjust their daily travel choices to work. Contact goDCgo for complimentary support establishing and administering parking management strategies at your office. goDCgo’s Parking Cash-out Award recognizes a company with an excellent parking management program that promotes not driving to work and incentivizes employees to take more active forms of transportation like public transit, biking and walking. Learn more about the exclusive award program. Working from home gives me the flexibility to plan my day around the projects I’m working on and balance that with my personal responsibilities. TCG's commuter benefits make that possible. In 2017, 43 offices participated in our Big Green Commute campaign. That's 123,702 “greener” miles, earned by walking, biking, carpooling and using public transportation or electric vehicles! The Employer Services team is great to work with; they are speedy and very responsive. Our staff will surely appreciate all the amazing benefits offered as a Capital Bikeshare Corporate Partner. We love the personal connection goDCgo makes with each employee to help address their unique needs. We’ll extend the invitation to their team for all future events. goDCgo surveyed our employees’ needs, donated to our raffle and created a custom “Get Around Guide” for our office—such a wealth of information that employees can really use! goDCgo’s guidance has been instrumental as we roll out our employee engagement plan. Now, we’re a Capital Bikeshare Corporate Member and offer WABA Everyday Bicycling Seminar to employees. Patrick’s Pet Care’s investment in bike benefits have improved the quality of life for employees. Employees report being healthier as a result of bike commuting and have reported a cost savings compared to traveling to clients by Metro or paying for parking. Need a recommendation for your transit display purchase or bike parking installation? We've got you covered! See our robust list of preferred vendors in Washington, DC. Lindsey promotes sustainable commuting to employers and their employees. She can help you spread the word at your workplace about commuting options and how commuter benefits work. Alex helps employers implement effective commuter benefit programs that encourage the use of sustainable travel options. Contact Alex for complimentary transportation consulting services tailored to the needs and interests of your organization and its employees. Get in touch to take advantage of our complimentary services. We’ll work together to make your residents’ experience an unforgettable one. Subscribe to the goDCgo Employer Newsletter to receive the latest news about what’s happening with commuter benefits in DC! The Employer Ambassador Awards is an annual ceremony hosted by goDCgo to recognize DC organizations for their exceptional commitment in promoting sustainable transportation and creating commuter-friendly workplaces. Check out this year’s awardees! Are You Ready for Bike to Work Day 2018? On Oct. 31, goDCgo presented an in-depth training webinar on how we can help you start a robust commuter benefits program or breathe life into your existing one.